We are nearing completion of the 36 week SLM Taro leisure centre refurbishment project! 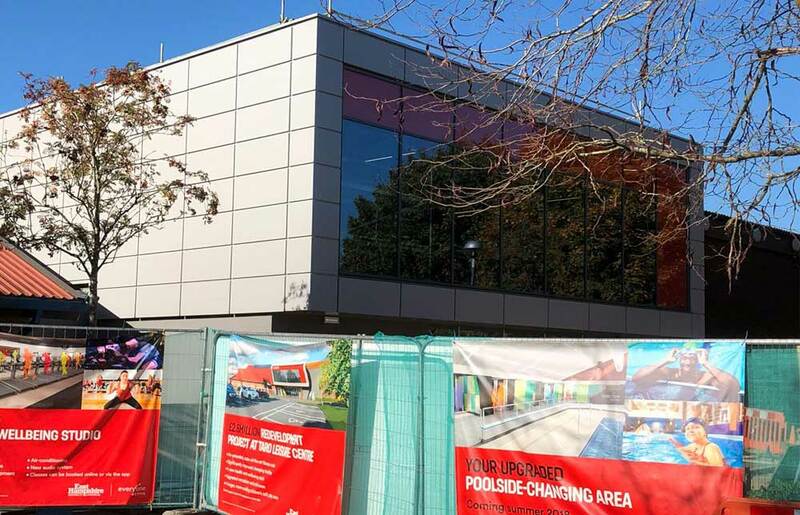 A £2,000,000 scheme including the demolition of the existing single storey building which housed the reception area and the construction of a new 2 storey extension which will contain the new larger gym on the first floor and the new reception area on the ground floor. This will be the second of a two phased handover. The first was the successful opening of the new village change facility within the pool area. A highly complex scheme due to the fact that the facility was kept operational whilst the original structure was demolished and the new structure was built. A temporary heated walk way was constructed at the rear of the building to allow the public to access the pool and café, whilst the new extension was being built. Another fantastic quality scheme which will be on time and budget!